It rained all weekend, but hey rain is good luck on your wedding day right? You know it! Jessica and John held their wedding reception and ceremony @ the Sheraton Lansing Hotel. It was a smaller wedding reception (less than 85 guests), but from my experience, it is the smaller weddings that always turn out the best. Everyone knows each other and there really is no need to break the ice to get the evening going. The lighting design gave a nice ceiling wash effect over the dance floor and head table. View their satisfaction survey at the link. 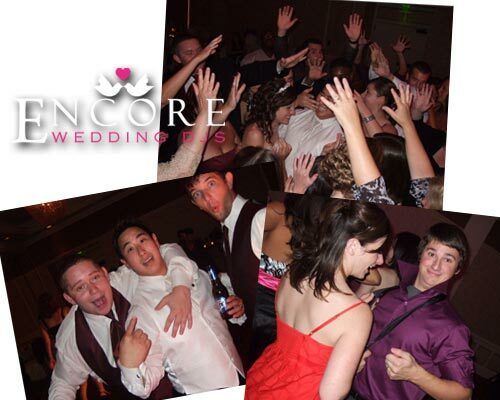 If you’re looking for the best wedding DJs in Lansing, then contact us like Jessica and John did. Congratulations, and I hope you guys have a safe move to New York!